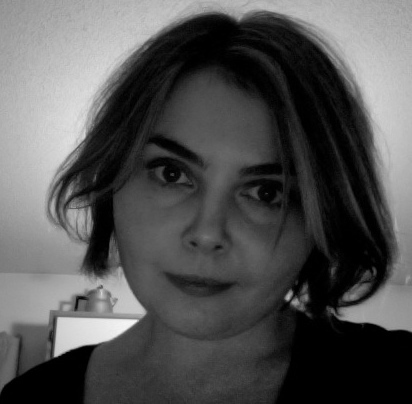 Dani Johannesen’s story “No Marigolds” appears in Midwestern Gothic Issue 10, out now. I started writing stories in elementary school, but I got “serious” about writing when I was an undergraduate. My great-grandparents came to South Dakota from Norway around 1915. I grew up in Huron, South Dakota, and have lived in the Midwest most of my life. Most of my family lives in the Dakotas, and I did most of my undergraduate and graduate work at public universities in South Dakota. The region is really my greatest source of inspiration. I especially like to think about situating unusual events in remote locations. Most of my ideas for stories come from thinking about real settings/places in the Midwest. As other contributors have mentioned, some scholars and the popular imagination as a whole may view the Midwest as somehow “inferior” to the South or the coasts. It’s interesting that many of the great American novelists were Midwesterners, although sometimes their work tends to reinforce negative stereotypes of the region. I do think it has something to do with the fact that the Midwest is a difficult region to define. I also think Midwesterners tend to identify with local history and culture more so than with regional history and culture. I think social media is a great tool for writers. I use it to share news about my work or to announce upcoming publications. It is also a good way to connect with new publications and with other writers. My favorite book is The Great Gatsby by one of my great Midwesterners, F. Scott Fitzgerald. I am also a big fan of Carson McCullers, Sherwood Anderson, Joyce Carol Oates, Michael Chabon, Truman Capote, and Richard Brautigan. I enjoy Italian food. I also love good falafel! Probably F. Scott Fitzgerald. I have a feeling we would be drinking beer. I am on Facebook, or you can look me up online!